Why is Ledo Pizza’s crust so flaky? Each Ledo Pizza is made fresh, and the dough is rolled right when the order is placed. Ledo Pizza uses a thin crust which is what helps make the crust flaky. Ledo Pizza started near The University of Maryland in 1955 with its first location on University Boulevard. Since 1955, Ledo Pizza has grown substantially from just one location to over one hundred locations throughout Maryland, D.C., Virginia, South Carolina, West Virginia, and Florida. You may have heard that Ledo Pizza “Never Cuts Corners,” and that has been true for over 60 years. Its famous, square pizza gives Ledo Pizza customers more pizza than the traditional round pizza. In 1955, Ledo Pizza decided to give families a fresh, enjoyable, and affordable pizza. Each pizza is made with fresh handmade dough, rolled to order, topped with high-quality smoked provolone cheese, and famously sweet Ledo tomato sauce. Ledo Pizza is famous for its thick sliced pepperoni, with its unique size, which is a result of the cooks cutting the pepperoni by hand in 1955. The thicker the slice, the faster the work was finished. 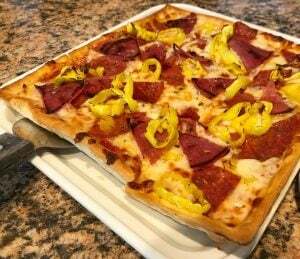 The customers loved it so much that Ledo Pizza continues the thick slice today. Ledo Pizza has grown exponentially and has stayed true to the values that were set forth almost 60 years ago. 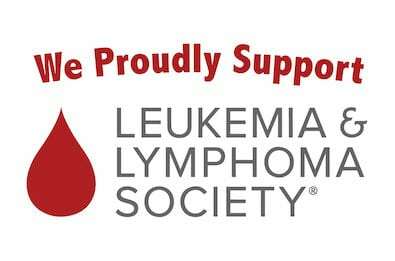 A critical role that Ledo Pizza takes pride in is giving back to the community through local fundraisers and charitable events. Through giving back to the communities by holding fundraisers at various locations for schools, sports teams, and local hospitals Ledo Pizza gives time and donations that can make a difference. 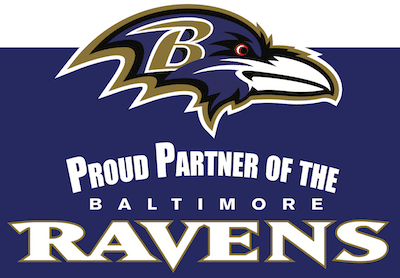 Ledo Pizza reaches out to help local professional and collegiate sports teams as well, by being proud sponsors of the Baltimore Ravens, Chesapeake Bayhawks, and proud partner of the University of Maryland Athletics. For over 60 years Ledo Pizza has been and will continue to be committed to helping communities, and providing families with affordable, delicious, and fresh pizza to enjoy in a fun and comfortable family atmosphere.